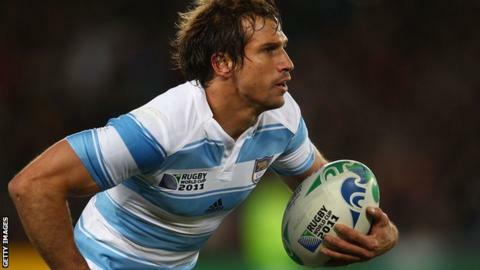 Leicester Tigers winger Gonzalo Camacho has been hit by a new injury setback and is now expected to be sidelined with a thigh muscle strain. The 31-year-old has played one game for his country and one pre-season match for the Tigers after two years out recovering from a shoulder injury. Director of rugby Richard Cockerill told BBC Radio Leicester: "He's still a week or two away. "His thigh injury has not recovered as well as we would've liked." But there's better news concerning Jordan Crane (knee), who could be ready for almost the start of the new campaign, with Owen Williams (anterior cruciate ligament) not far behind. "Jordan Crane is doing really well and will be pretty much in and around for the start of the season," continued Cockerill. "He might just miss the first game. "Owen Williams is probably two or three weeks away, which is great news for us as well." Tigers begin their season on 18 October with a trip to London Irish.